You don’t know what neutrons are capable of? Time for a change! Summary of the first two calls is available here. 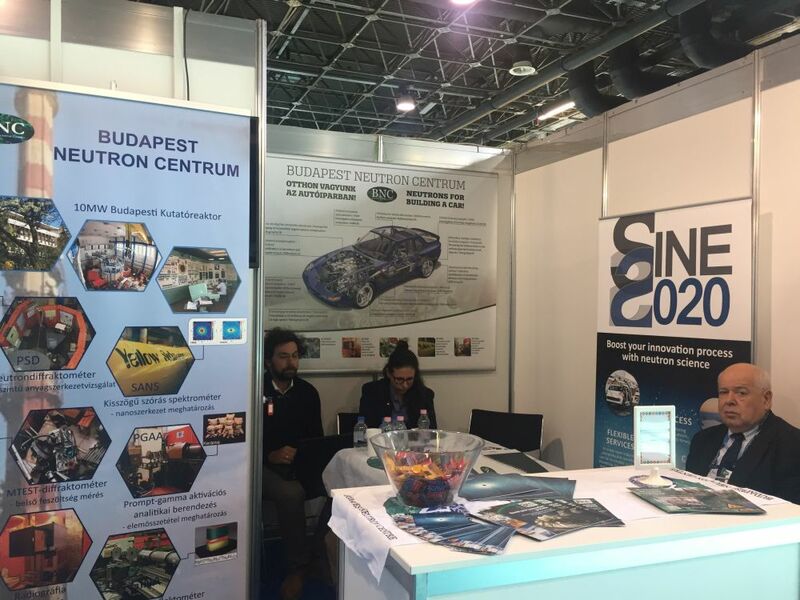 A most significant event of the automotive industry in Hungary is the AUTOMOTIVE Hungary exhibition in Budapest. Various conferences, round-table-discussions, competitions are organized during the exhibition. 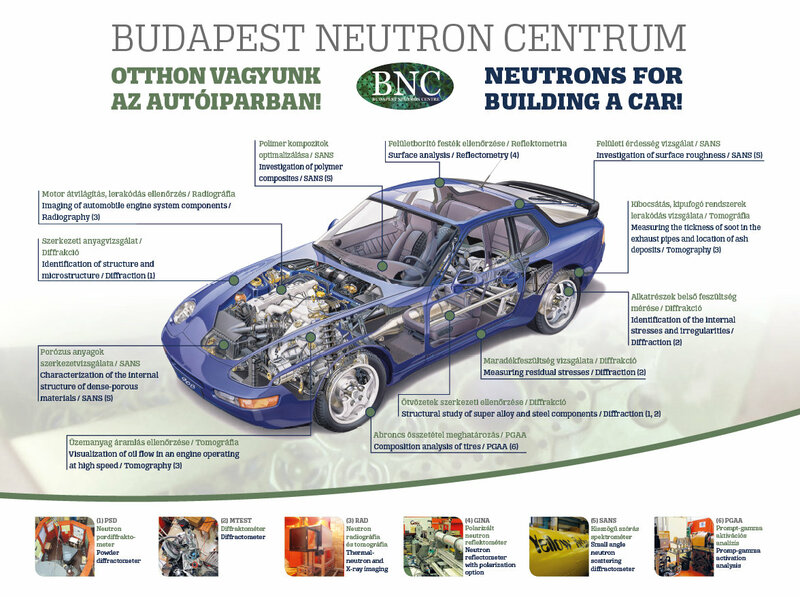 The expertise and infrastructure of the Budapest Neutron Centre (BNC) are open to companies. We are there and we are looking forward to discuss a possible collaboration with your company. The AUTOMOTIVE 2018 took place from Wednesday to Friday 17-19 October, 2018. Providing over 10% of Hungary’s GDP, the automotive industry produces over 90% of its output for export and it is a key branch of the Hungarian economy. Half of the fifty largest export companies are tied to the automotive industry. This sector includes car manufacturers in the country like Mercedes, Suzuki, Audi and Opel, Rába as a Bus & TIR Camion designer and producer, Modulo a national company for electric mobility, as well as over a thousand suppliers of various sizes. Hungary’s automotive industry has seen investment projects which varied billions of Euros each years. These projects have offered further growth opportunities for international and domestic small and medium size enterprises alike. Experts say the future may bring the success of electric cars while traditional drivetrain systems will continue to pay a significant role in the upcoming 20 years or so. As far as the future is concerned electric mobility, digitalization and other transport solutions are of utmost importance; while offering novel opportunities for car market players, they also require a labour force with different training and skills. At the same time, there is room for improvement in the productivity of the companies and the extent of added value. Especially, the research and development capability of the SME sector should be improved, and these companies need to learn global thinking. That’s what enables them to grow together with their foreign clients, so that long-term developing concepts could result in long-term contracts. All these a/m facts and important statistics made BNC & SINE2020 WP decide to participate AUTOMOTIVE'16 with a Common Booth and enter common conference workshop activities on this event. 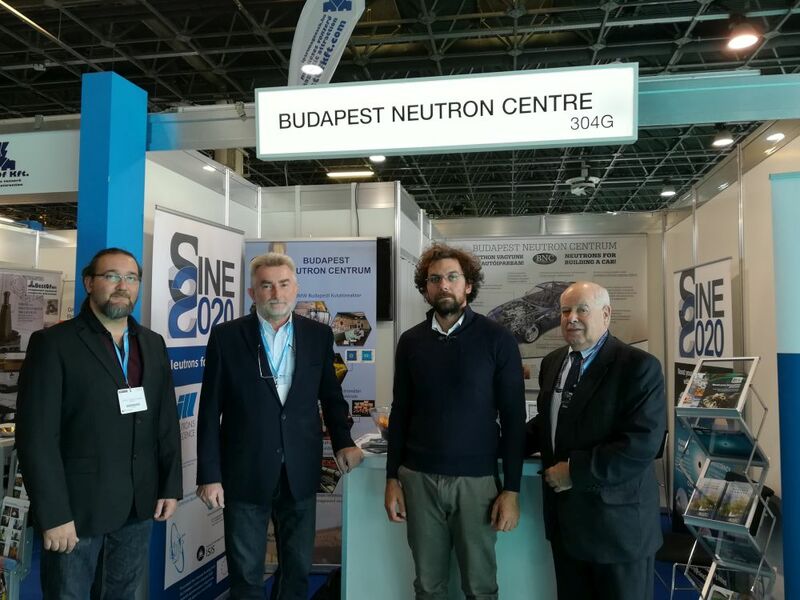 BNC was invited by the representatives of two Automotive Clusters (North Hungarian Automotive Cluster, Western – Pannonian Automotive and Mechatronics Centre Non-profit Ltd.) to make our activity and potential services visible for their members by presentations during their society meetings. AUTOPRO.hu - the major professional Magazine of the automitve sector proposed a ’publication report’ about our activities, which was published in the following issue of the Magazine (in Hungarian).